I love Rome. I think city living is worth living. But to keep one's sanity one must venture into nature to break away. We broke away for Tuscany last weekend and discovered a new area with just about everything we'd want in a weekend getaway. 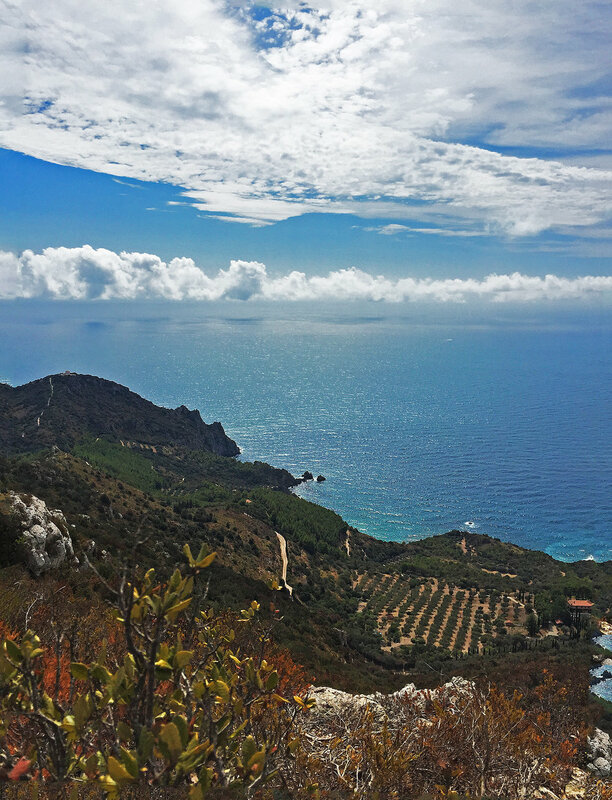 Monte Argentario is a peninsula near Orbetello that was once an island. Changing sea currents and a mainland river eventually caused a spit to form joining the two pieces of land. For our lodging, we stayed near the village of Porto Santo Stefano. A gorgeous port town on the north half of the island with a huge array of colors and yachts. Our room was in a beautiful villa perched along the rocky coastline. The views of the sea were amazing and with the tranquil surroundings, it made for a relaxing weekend away from the city. A few weeks ago we had been invited to go along on a ride here in Argentario and couldn't make the date. We dug a little deeper into the riding to see what we had missed and the more we dug the more we wanted to make this trip happen. We reached out to all the usual suspects for beta on trials and routes. We were going to have plenty of options for a weekend worth of riding. If, we could find them. Finding these new getaway spots surrounding Rome has been a great way to experience and ride what Italy has to offer. The vast differences between these small cities and towns separated by only a few kilometers are outstanding. Every locale has a unique taste, view, and personality worth exploring. Less than two hours from Rome, Argentario provides a feeling of isolation that allowed us to slow down and enjoy a few days away. With this weekend's spectacular local recipes and wines, plus great riding and scenery, a return to Argentario isn't out of reach.